Search no further for the perfect Classic Bloody Mary recipe. It’s here, and waiting to be guzzled by brunch-goers. 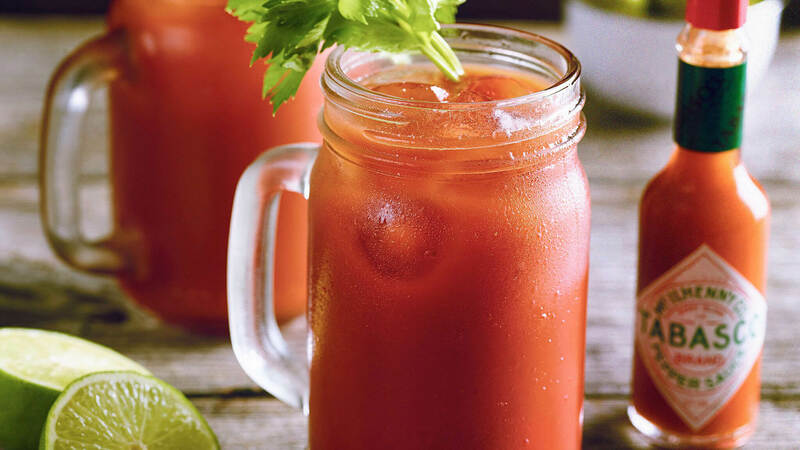 60% of consumers are likely to drink alcohol at brunch and 36% of brunch-goers order a Bloody Mary. TABASCO® brand Original Red Sauce --- 1/2 tsp. Tomato juice --- 1 qt. Worcestershire sauce --- 1 Tbsp. Lime juice, freshly squeezed --- 1 Tbsp. Lime wedge (garnish) --- 4 ea. Celery stalk (garnish) --- 4 ea. Combine tomato juice, vodka, Worcestershire sauce, lime juice, and TABASCO® Sauce in a 2-quart pitcher; stir well. Serve over ice. Garnish with lime or celery.